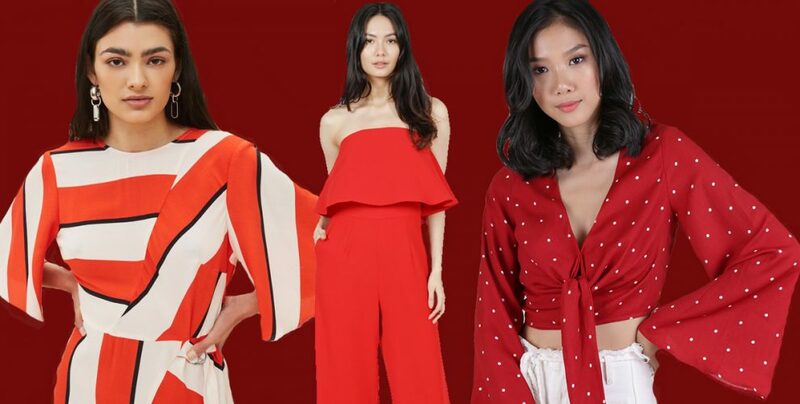 One trend which caught our eye on the Spring Summer 2018 runways was models dressed head-to-toe in tomato red. From Victoria Beckham’s chic pyjama suits to Givenchy’s 27-piece collection, the striking hue looked both glamorous and effortlessly cool. However, some women might feel wearing red is a tad too loud for everyday wear, much less as an outfit for the office. 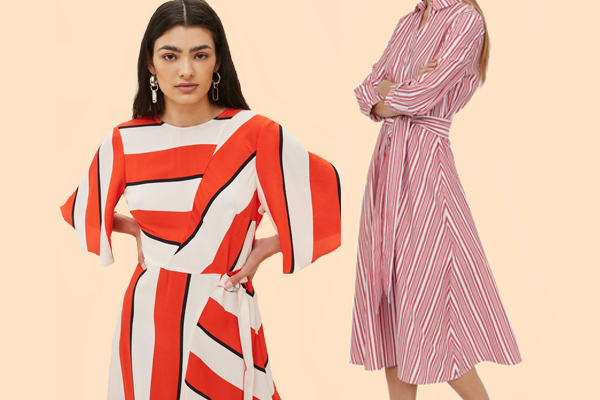 To help you pull off wearing the bold colour, we’ve compiled a list of easy-to-wear looks to show you how you can add a splash of red to your work wardrobe. 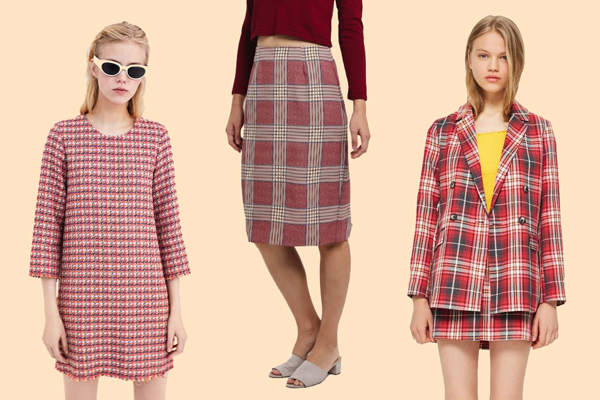 Made popular by 90s cult chick flicks like Clueless, checkered, gingham and plaid is en vogue again. To avoid your outfit from becoming too gaudy, keep accessories to the minimal and pair one-piece prints with solid coloured tops. It’s been proven black and red is the magic combo which will always work. 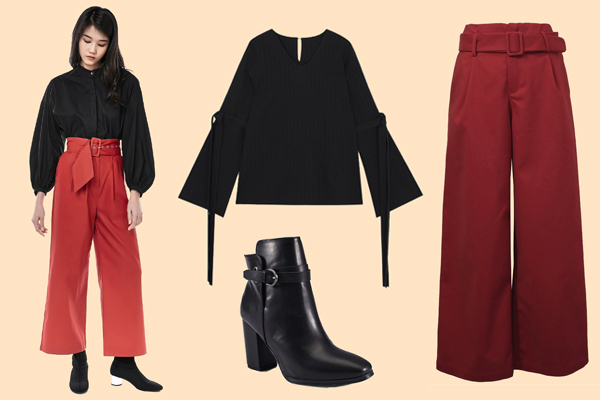 Give your outfit a structured twist when you cinch your waist with a belted culotte. Work that inner #ladyboss when you choose to suit up in a matching red blazer and shorts/pants combo. Red is an authoritative colour, so the looser silhouette of the oversized blazer gives off a more relaxed vibe. 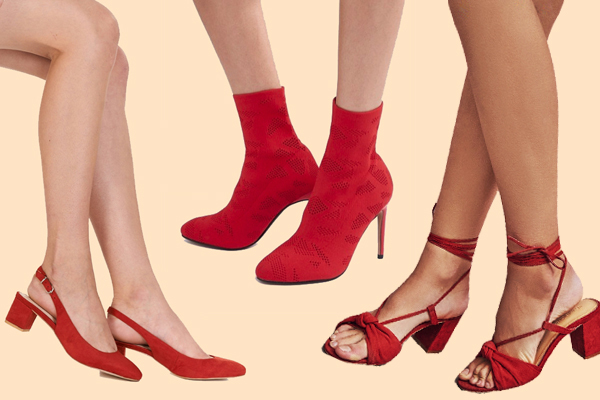 Put your best foot forward when you walk out in a pair of red statement shoes. If you have a closet with a limited colour palette, they’ll add a pop of colour to any monochromatic look. Replace classic high-waisted denim jeans with these corduroy red pants. The corduroy/suede will lend interesting texture and detail to your all-red outfit. In 2018, stripes have been updated to come in all bandwidths, directions and, colours. If you’re fun-sized, whip out the age-old trick and don vertical stripes to give off the illusion of added height. 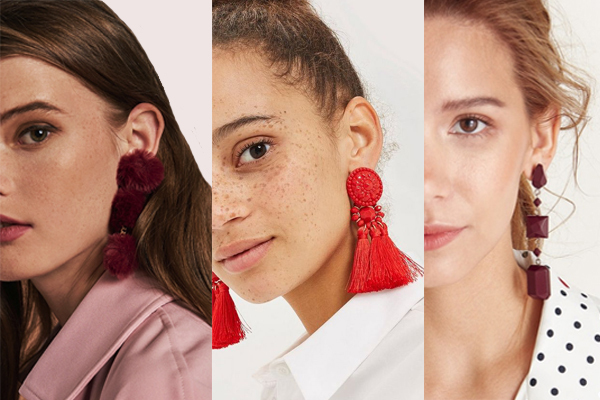 Alternatively, you can opt for oversized statement earrings or a bag in a more muted red shade to add a pop of colour to any monochrome outfit. Just because you’re heading to work, it doesn’t mean you can’t dress like you’re on vacation. 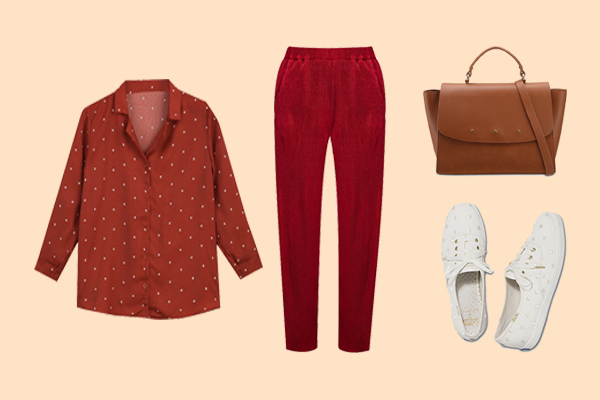 On dress down Fridays, slip on one of these casual polka dot pieces which won’t look out of place by the Amalfi coast. 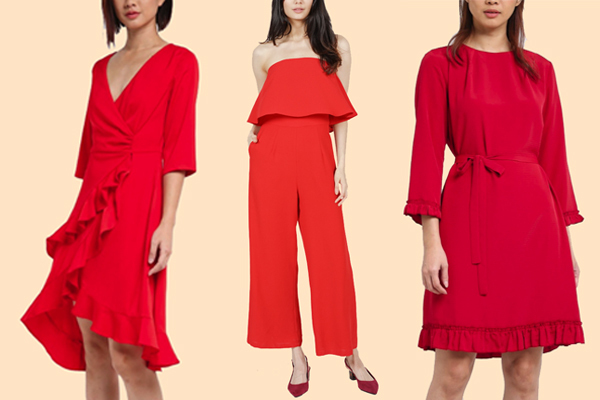 Stay chic while you spice up your work outfits with sensual red. When wearing this bright colour to your 9-to-5, do consider how formal your office’s environment is. If your colleagues are on the conservative side, keep your ~FiEry~ outfits for Fridays, or a casual weekend brunch out with the girls.